Two Vintage African American Gangsters Smoking Cigarette In Front.. Stock Photo, Picture And Royalty Free Image. Image 33998924. 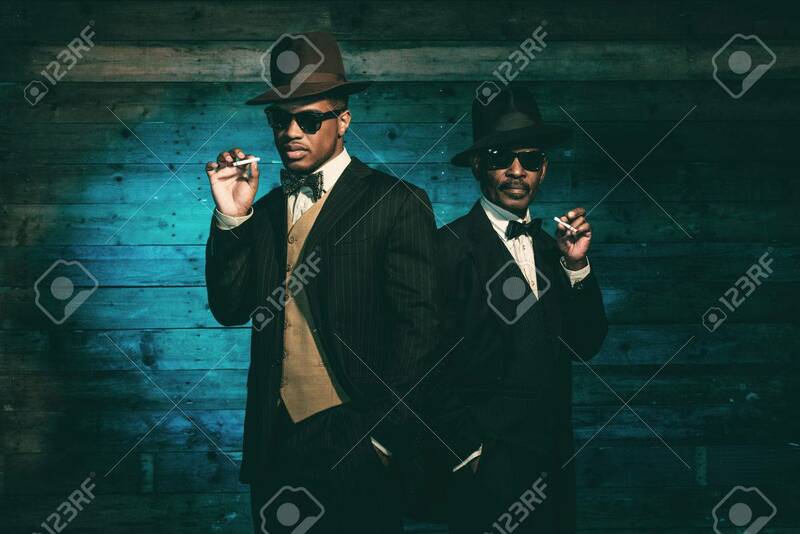 Stock Photo - Two vintage african american gangsters smoking cigarette in front of old wooden wall. Wearing black sunglasses with suit and hat. Two vintage african american gangsters smoking cigarette in front of old wooden wall. Wearing black sunglasses with suit and hat.